BRYAN EATON/Staff photo. Triton Regional Middle School students held a fundraiser to help with hurrican relief in Puerto Rico. 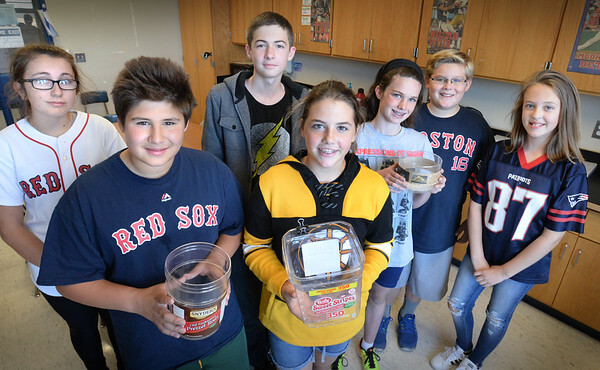 Several of those students involved, from, left, Kayla Dube, 14, Joey Renda, 13, Jaidyn Craig, 12, Haleigh Harris, 12, Lauren Bartlett, 14, David Pugh, 12, and Margaret Reilly, 12.